In the last post, we discussed how you can visit our online jewelry store and create your own custom diamond engagement rings. You may appreciate the chance to exercise your creativity, but other visitors simply wish to view the most dazzling and inspiring engagement rings available right away. For these guests, we maintain a list of our Top Selling Diamond Engagement Rings, featuring 20 of the most in-demand styles available. 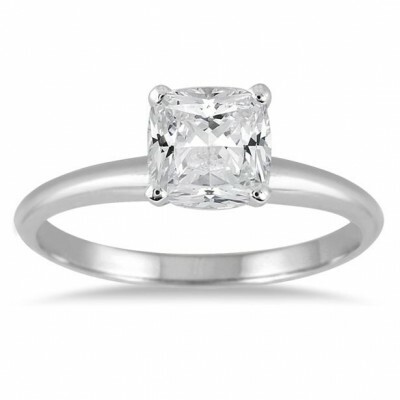 The current #1 diamond engagement ring is a 1 ¼ carat Diamond Halo Ring in 14K white gold. A timeless, classic design featuring a truly radiant round diamond as its center stone, this ring is a suitable symbol for any partnership. It’s easy to see why our customers have made this the top-selling ring on the site; in addition to its sparkling appearance, it offers fantastic value. This ring is available now for just $1149, a savings of 74%. The rest of the list includes a wide range of other customer favorites, including this striking 1 Carat Cushion Cut Diamond Solitaire Ring in 14K white gold. This ring has a more elegant and sophisticated flair, perfect for wear alongside stylish formal ensembles. Available at a 75% discount, this diamond engagement ring is a smart choice for any visitor to our online jewelry store. 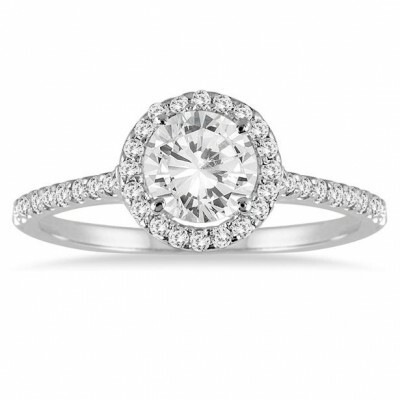 Visit us at www.szul.com to find the full list of bestselling engagement rings, updated regularly to reflect emerging trends. To stay on top of other trends in jewelry, fashion and bridalwear, follow us on Facebook, Twitter, Instagram and Pinterest. This entry was posted in Blog Posts and tagged Beautiful, Best, Bridal, Couple, Diamond, Diamonds, engagement, Engagement ring, Fashion, Fine jewelry, Gorgeous, Jewelry, Love, Luxury, Marriage, Popular, Pretty, Proposal, Rings, Top 20, Trend, Trends, Wedding, Wedding ring. Bookmark the permalink.